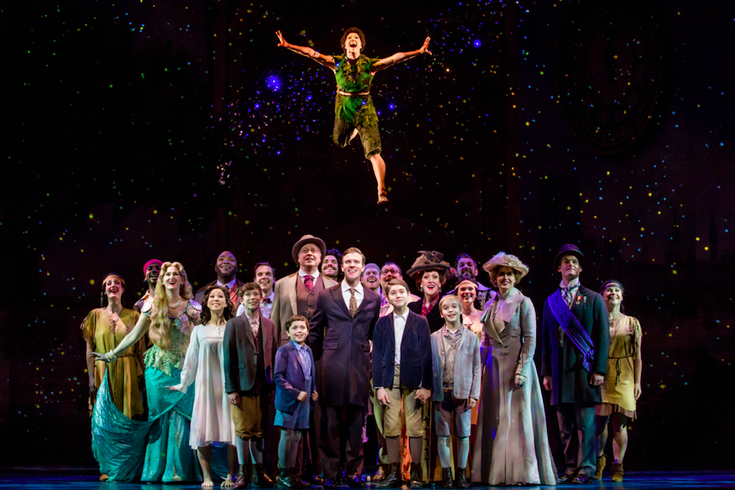 The cast of "Finding Neverland." The musical "Finding Neverland" will be at the Academy of Music from Tuesday, Nov. 21, through Sunday, Nov. 26. To celebrate the musical's Philly debut and encourage reading, the Kimmel Center is partnering with TD Bank for a citywide book drive to benefit Philadelphia Reads and the School District of Philadelphia. Those who participate will receive a 10 percent discount ticket code for "Finding Neverland." The book drive will take place across four Center City TD Bank locations from Wednesday, Nov. 1, through Sunday, Nov. 26. Stop by the TD Banks at 1726 Walnut St., 1900 Market St., 111 S. 11th St. or 121 S. Broad St. to donate new or gently used books. "'Finding Neverland' is based on a book about escaping into a world of make-believe,” said Anne Ewers, president and CEO of the Kimmel Center for the Performing Arts. The musical follows the relationship between playwright J.M. Barrie and the family that inspired "Peter Pan."